Ambassador Thomas Pickering. Image courtesy of The Miller Center. 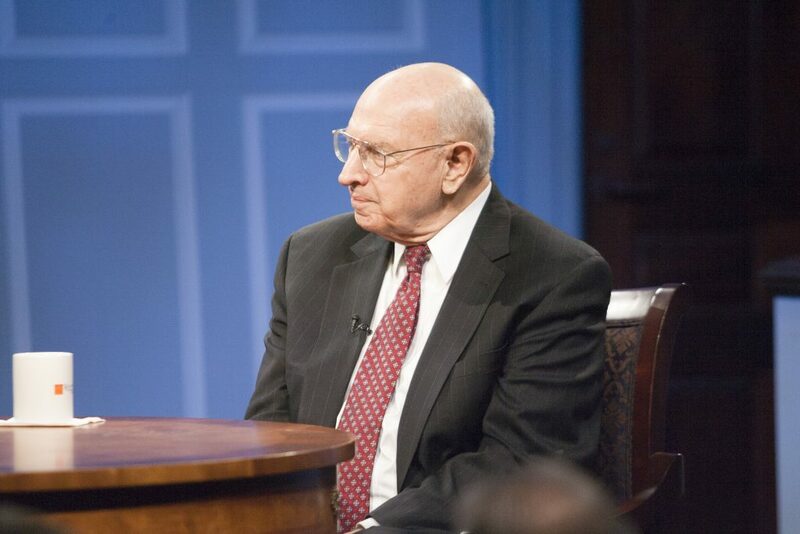 William Jewell College had the privilege to host Ambassador Thomas Pickering Wednesday, March 27. The ambassador, in town to give an address on Iran to the International Relations Council that evening, visited Jewell’s campus and held a forum with Jewell students in the early afternoon. Ambassador Pickering’s forum was held during a meeting of Dr. Armstrong’s Politics 250: Intro to World Politics class that was opened to other faculty and students, many of which attended. The event began with brief opening remarks by the ambassador , which quickly gave way to him answering questions posed by the assembled students. Students asked Ambassador Pickering a series of wide-ranging questions dealing with everything ranging from Russian aggression in Eastern Europe, to the internal politics of Jordan, to Israel and the Palestinians. Pickering was well prepared to answer the questions, given his experience. He had a long and distinguished career in the United States Foreign Service. Over the course of at varying years, he held the position of U.S. Ambassador to Russia, Israel, India and the United Nations among other placements, served under every administration from President Nixon to President Clinton and served as as Under Secretary for Political Affairs – the third highest ranking position in the State Department. Pickering retired from the Foreign Service in 2001 with the high rank of career ambassador. A number of Jewell students and faculty members also attended the ambassador’s talk in the evening to the International Relations Council on Iran. The event, “Iran and the Larger Middle East,” focused in on a close examination of Iran and the Joint Comprehensive Plan of Action (or the Iran Deal from which the Trump Administration unilaterally withdrew the United States in May 2018 as well as an examination of other related hotspots in the region like Syria. NextNext post:AFE: Women like sports too! ?